Indium Corporation will feature its ultra-reliable Indium8.9HF Solder Paste at NEPCON South China, August 28-30, in Shenzhen, China. Indium8.9HF Solder Paste is an air reflow, no-clean solder paste specifically formulated to accommodate the higher processing temperatures required by the SnAgCu, SnAg, and other alloy systems favored by the automotive electronics industry. 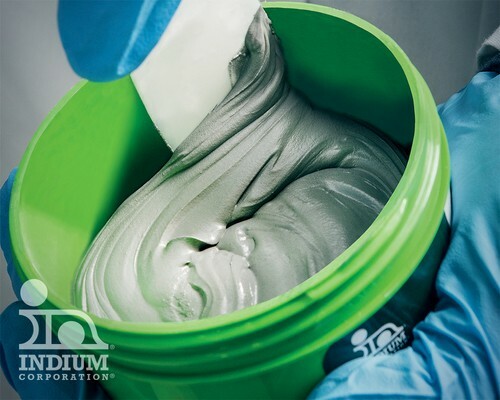 Additionally, Indium Corporation will spotlight Indium10.1HF Solder Paste—an air reflow, no-clean, halogen-free, Pb-free solder paste specifically formulated to achieve ultra-low voiding, especially in automotive applications. For more information about Indium8.9HF and Indium10.1HF solder pastes and their use in automotive electronics, visit www.indium.com/avoidthevoid or stop to see us at the show at booth #1K11.